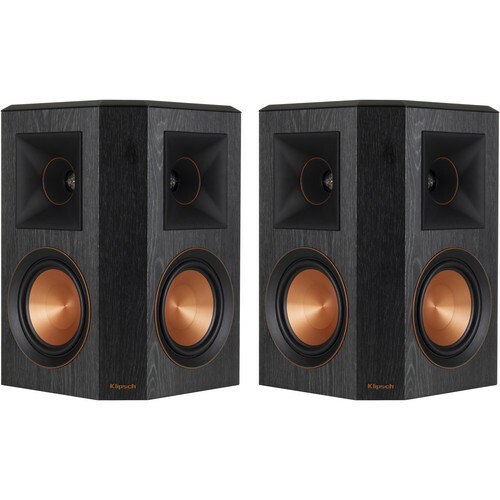 Suitable for use in a variety of installation locations, this pair of ebony Klipsch Reference Premiere RP-502S Surround Speakers can handle up to 100W per channel RMS or 400W peak. Each speaker is equipped with two 5.25" Cerametallic cone woofers and one 1" titanium LTS vented tweeter paired with a 90 x 90° hybrid cross-section Tractrix horn for broad directionality. To further broaden the soundstage, the speakers feature a bi-directional design. 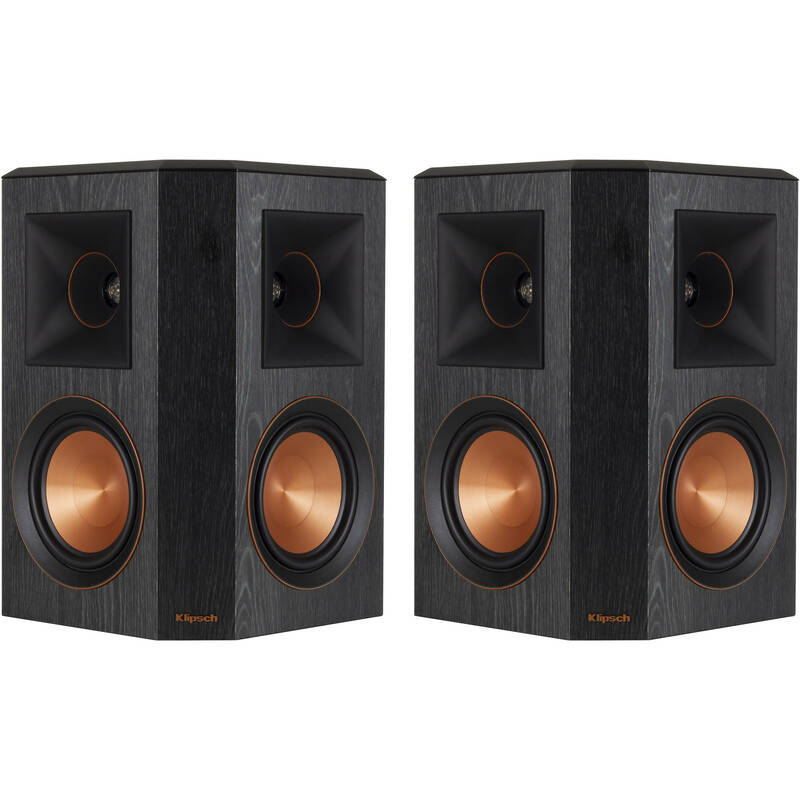 They have a frequency response of 58 Hz to 25 kHz and a keyhole for convenient wall mounting. Wide Dispersion Surround Technology (WDST) is designed to provide enhanced sonic detail for lifelike, cinematic sound, even in less-than-ideal placement configurations. The Reference Premiere features a vinyl finish with a satin-painted top cap and a scratch-resistant finish. Box Dimensions (LxWxH) 19.8 x 18.0 x 15.8"